It’s becoming increasingly clear that the younger generation are the women who are breaking down barriers and stigma in societies and countries where for so long men have dominated. We’ve documented how this is happening in Saudi Arabia, Egypt, Afghanistan, Pakistan, India, and now Mongolia. 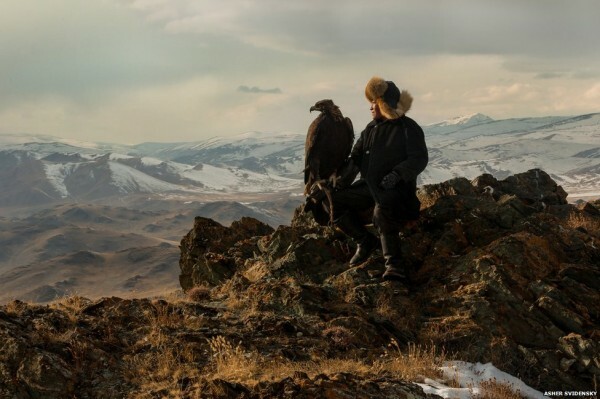 A teenager by the name of Ashol-Pan was recently documented by the BBC in the Altai Mountain range on the Western side of the country, where they were taking photos of young male eagle apprentices. While photographer Asher Svidensky was shooting a group of boys, he noticed one girl amongst the pack who stood out immediately. 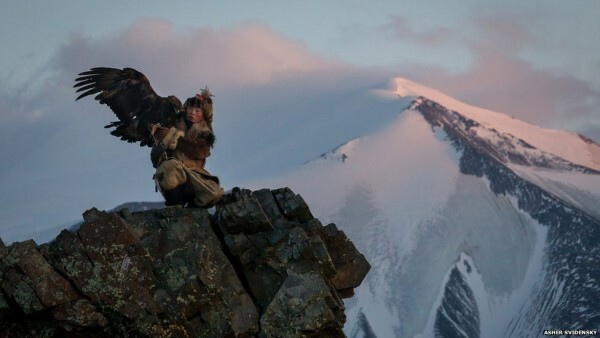 Upon further research and documentation, the BBC team learned she was possibly the only female eagle huntress apprentice in the world. But what was most striking was the 13 year old’s ease and skill amongst the male dominated profession. There are reportedly 400 practicing falconers. 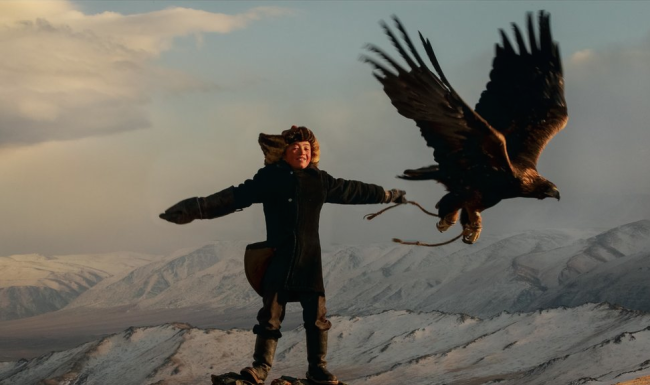 Traditionally, the boys start learning the art of eagle hunting and taming at the age of 13, and teach them how to hunt foxes, hare and other game. Photographer Asher said this has been a male activity for around 2000 years, so capturing what is said to be the first female in this environment is quite a statement on how Mongolia is viewing women these days. This isn’t exactly an easy thing to get into for a teenage girl, and certainly not a typical activity to take up for women in general. They hunt in winter, where temperatures get as low as -40 Fahrenheit. 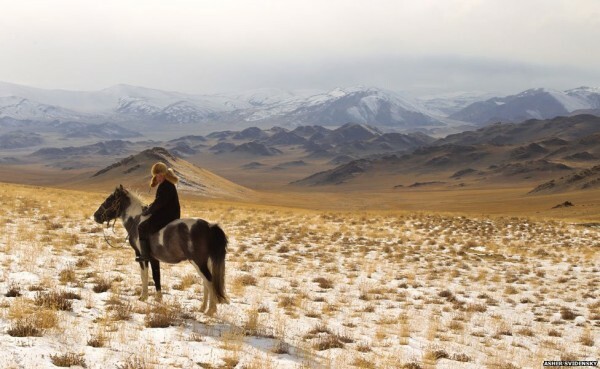 A hunt begins with days of trekking on horseback through snow to a mountain or ridge giving an excellent view of prey for miles around. Hunters generally work in teams. After a fox is spotted, riders charge towards it to flush it into the open, and an eagle is released. If the eagle fails to make a kill, another is released. The eagles are not bred in captivity, but taken from nests at a young age. Female eaglets are chosen since they grow to a larger size – a large adult might be as heavy as seven kilos, with a wingspan of over 230cm. 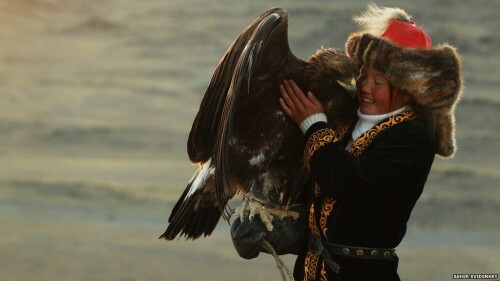 These heavy birds have to sit on the underdeveloped arms of the apprentice falconers, which is not an easy task. This is a culture which begs no fanfare, nor does it utilize social media to showcase what they are doing. If the BBC hadn’t stumbled upon this awesome emerging display of feminism stretching its wing (pun intended!) in such a patriarchy, this young girl, Ashol-Pan would’ce carried on her career and no doubt inspired many other girls in her wake. However, now that her story has been documented for the world to see, it serves as an important commentary on the power of the younger generation which the media should be paying more attention to. The younger generation of women who are literally changing and redefining big powerful institutions and traditions in ways like never before. Just look at the impact Malala Yousafzai has had on the girls in her home country of Pakistan, as well as around the world. 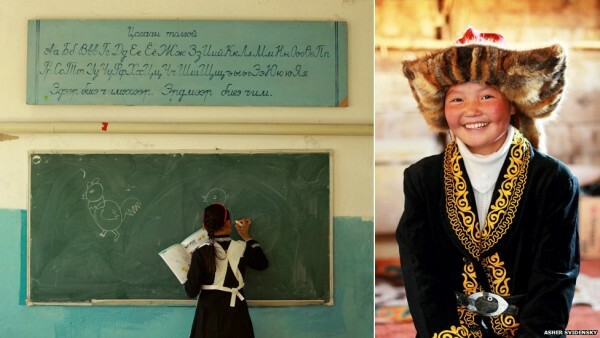 Take a look at the stunning photographs taken by Asher Svidensky for the BBC, and get a glimpse into the life of a young girl who is living out the very definition of feminism in a country which has probably never encouraged it before.